IPU CET 2019 Result – Guru Gobind Singh Indraprastha University will release the IPU CET 2019 Result for various courses. 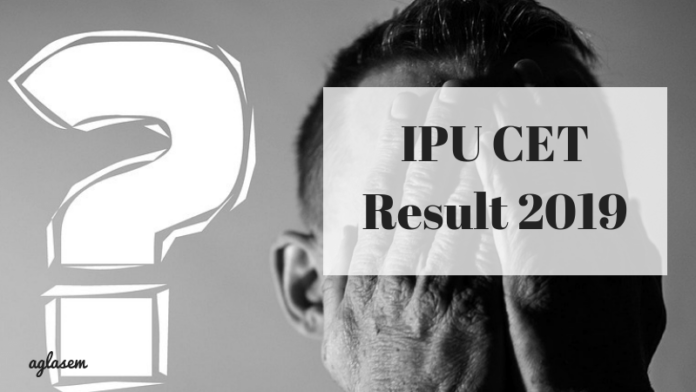 IPU CET 2019 Result is released in pdf format over the official website i.e www.ipu.ac.in. Usually, by the end of April or first week of May, the authorities release the result. IPU CET 2019 Result is released in the form of the rank list. For a separate course, a candidate shall find a separate merit or rank list, released by the authorities. The result for the CET will be based on the marks obtained by the candidate and the rank obtained by them. IPU admissions will be done on the basis of the cutoff decided by the university. To get admission to the university, the candidate should qualify the examination with the minimum marks according to the cutoff. The overview of the tentative dates for GGSIPU result 2019 has been mentioned on this page. Candidates can check the same, by keep scrolling! In the IPU CET Result 2019 pdf, a candidate shall find their name, exam roll number, region, category and rank, secured by them. On the basis of this IPU CET Merit list 2019, a candidate will be further called for IPU CET 2019 counseling round. 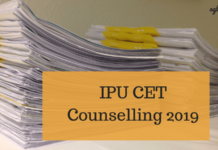 Without wasting time, let’s quickly go through the important IPU CET 2019 Result related dates below. Step 1- Visit the official website of GGSIPU or the click link provided above. Step 2- Search for the Link of ‘IPU CET B. Tech Result 2019 on the Home page of the Official website of the University. Step 3- Result is given in pdf form. Step 4- View the result, download it and take a printout and retain it till the admissions. The result shall contain the name of the candidate along with the category wise rank, cut off marks (minimum qualifying marks required to pass), merit list for the counseling process. After the declaration of result, the university will release the merit list on the basis of the marks. The merit list will be prepared purely on the written examination. Merit list will decide the selection of the student and accordingly, the counseling process or the seat allotment will take place. Further after the release of the merit list counseling process will take place. The counseling process will start after the declaration of result and the preparation of the merit list. The shortlisted candidates will be called for various counselling round. The counselling will be held through offline as well as online mode. To proceed into the counseling round candidates have to pay the counseling fee of Rs 1000 which will be non-refundable. This will be done on the official website. Candidates can pay the fee either through Credit/ Debit card/ net banking or by challan deposited in Indian Bank (all branches). In the counseling round all the documents of the qualified candidates will be verified by the university. Candidates must have their registration slip, admit card, reserved category certificate, identification proof, character certificate, certificate of qualifying examination while appearing in the counseling round. Entrants will be able to apply for counseling round by entering CET roll number, date of birth and mobile number on the official website.